This blog post is simply an appreciate for Bob McLeod's fine work in the 1980s on one of my favorite titles, the New Mutants. Enjoy! 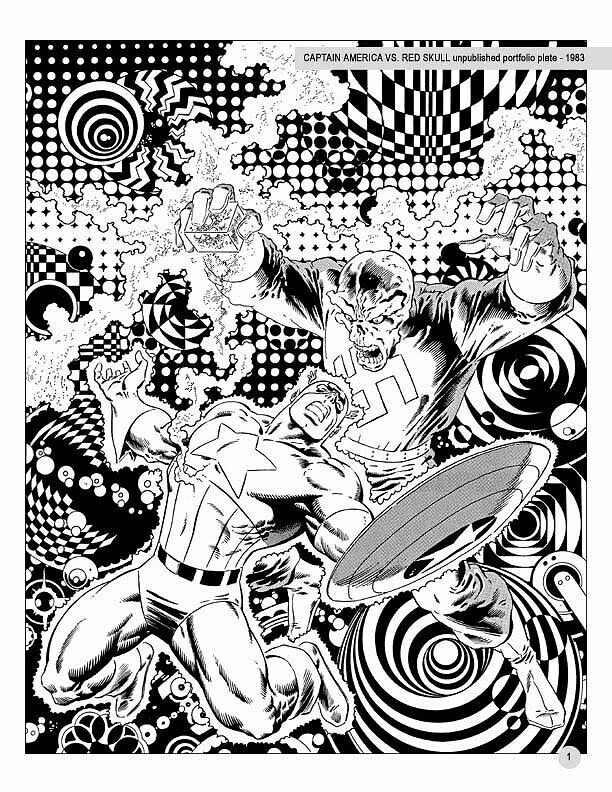 For more McLeod goodness, check out http://www.bobmcleod.com/ including commissions! 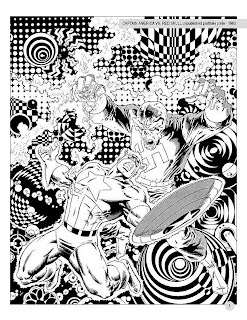 Contest of Champions – Grunwald, Grant, & Romita Jr. 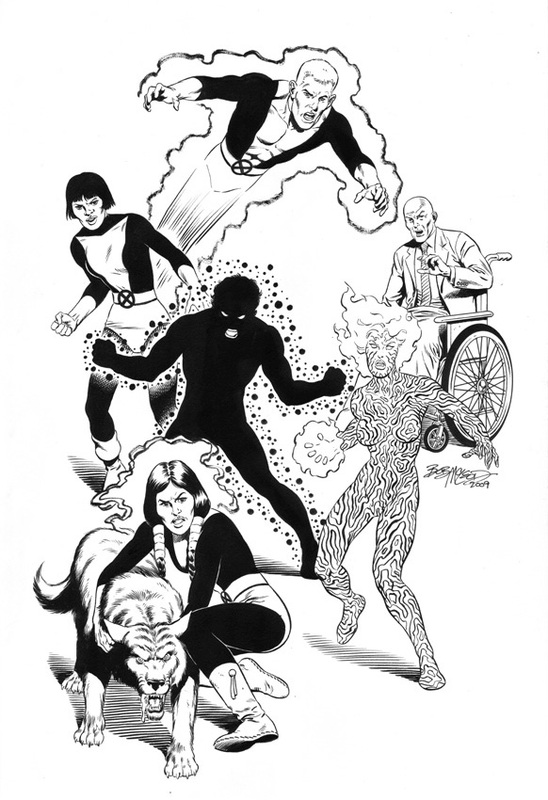 It's a lucky seventh volume chock full of memorable X-Men moments by the classic creator combo of Claremont and Cockrum! First up, Kitty's leaving the School For Gifted Youngsters. Her new academic destination? 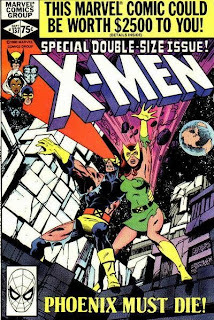 The Massachusetts Academy, run by none other than Emma Frost, the Hellfire Club's White Queen—setting up the inevitable showdown between the X-Men and Sebastian Shaw's minions, with a classic, no-holds-barred, Storm/Emma catfight in the clouds! 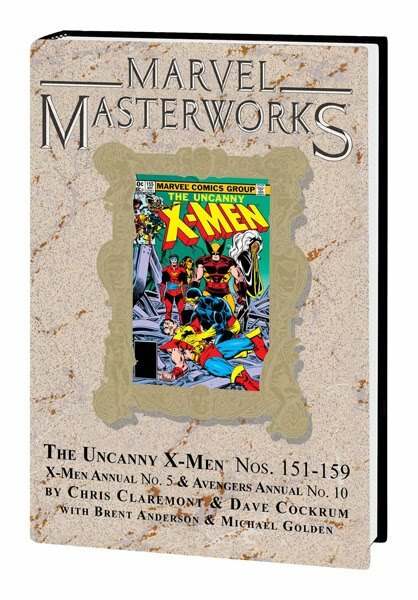 Collecting UNCANNY X-MEN #151-159, X-MEN ANNUAL #5 & AVENGERS ANNUAL #10. 304 Pages. Evil undersea monarchs Ghaur and Llyra are determined to bring the elder god Set to Earth, and no one on the surface world will stop them! Seven mortal women—including the Invisible Women, She-Hulk and Marvel Girl—have been selected to act as the brides of Set’s snake heads, and the ensuing conflict will spread to nearly every hero on Earth, from the Avengers to Quasar to the Punisher to the X-Men to the Fantastic Four! Can the heroes stop this terrible plot in time? Plus: the complex history of the Serpent Crown. 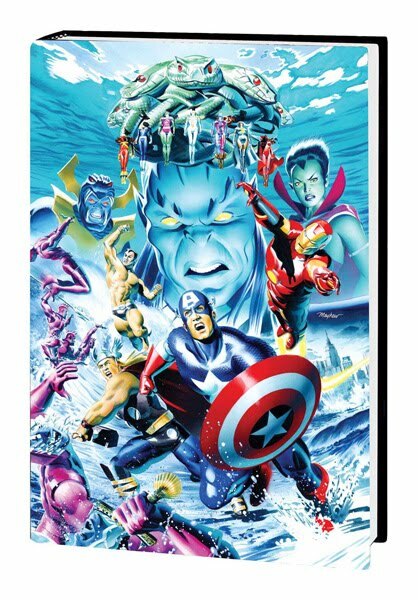 Written by veteran Avengers scribe, Steve Englehart and drawn by Richard Howell, this miniseries draws from the rich history both characters have. I found the run of 12 issues to be a bit much and felt like it dragged on. It’s interesting now looking at it a bit differently now with the information in the above quote about these single-issue, theme-based plots. 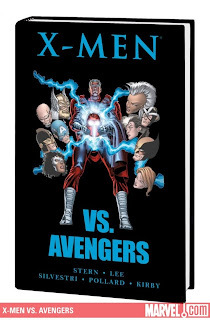 Most of the overall story’s tension comes from family issues, be it the Quicksilver, or Magneto and their relationship with the family of Avengers. 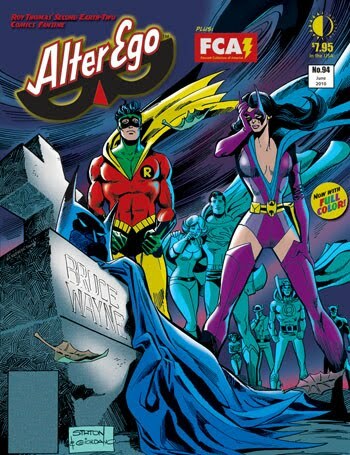 Englehart succeeds at weaving the back story of these characters in with flow of the story. 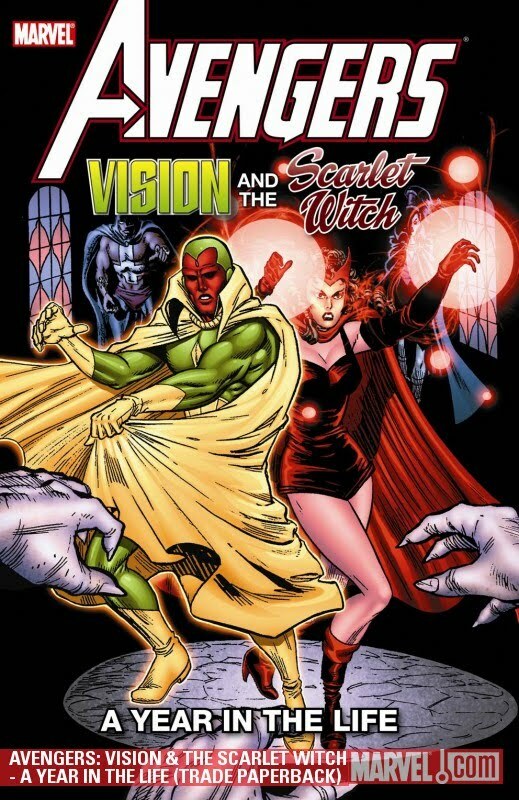 It’s also fun to watch as we walk along with the Vision and the Scarlet Witch during their pregnancy and child birth. I do have to point out though that the Toad, no matter how powerful he's made, can't be anything but an underling. Englehart tries to make him more than he can ever be. Having Toad as the principle villain in one issue was bad enough, but in three issues was just over the top. 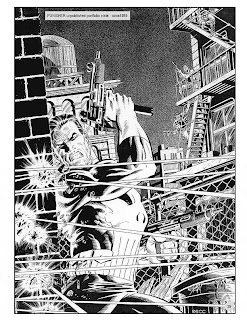 Howell’s art excel at conveying beautiful emotional scenes, but his overall sense of action and dynamic storytelling falls short. 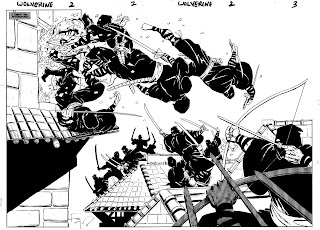 So in short, his art works as this series depends on those key emotional scenes and you can look past the weaknesses of the action scenes. 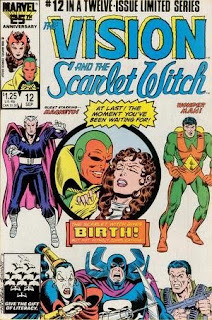 The series was groundbreaking and daring not only in its portrayal of the evolution of the relationship between the Vision and the Scarlet Witch, but in the collapse of Crystal and Quicksilver’s marriage as well as Crystal’s affair (issues that were rarely dealt with in comic books in the 1980s). 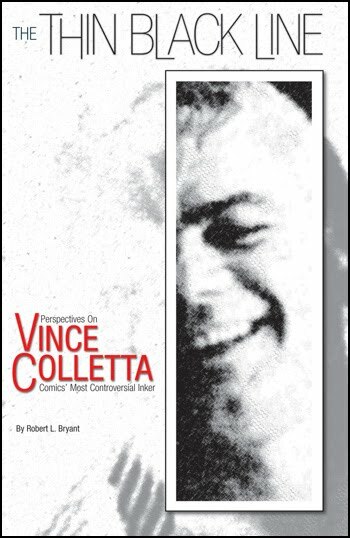 Let me preface this post by saying that I haven’t read much about Vince Colletta the man (and from the brief mentions of him that I have, he was a rather nice guy) and that this is a criticism of his work and not him personally. While Vince Colletta made his mark in the Silver Age as Marvel Comics most prolific and reliable inker, his work stands as a contentious issue for discussion. 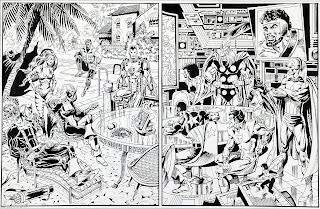 In my humble opinion, his Silver Age work on Thor diminished the explosive and dynamic pencils of Jack Kirby. 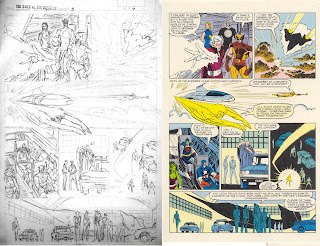 I always felt that Kirby’s art looked best under the more faithful inkings of Joe Sinnott and Chic Stone. Colletta’s inks always seemed to impose its own style rather than embellish the style of the penciller. “But Colletta was a hack. Vinnie erased background figures and simplified backgrounds and turned fully realized drawings into silhouettes. I have quite a few pages of original art from Kirby’s run on “Thor” and Vinnie erased or whited out incidental figures or details frequently -- in one case, Vinnie whited out an entire train. 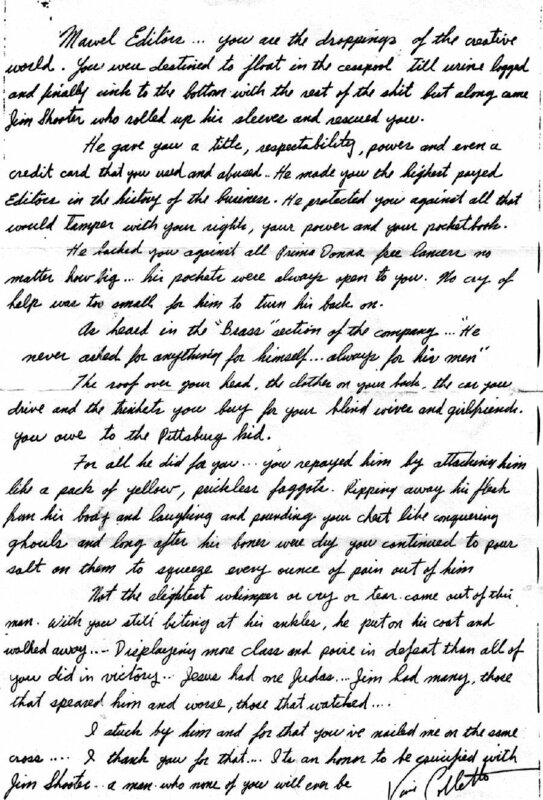 The real tragedy of Colletta was not that he was a hack, but rather that he turned others into hacks. 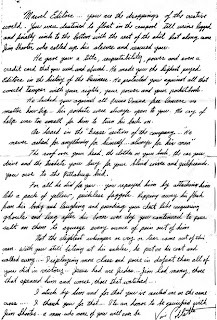 Pencillers who had been putting in long hours at the drawing board and who were appalled to have their work butchered would start cutting corners themselves. Often it resulted in them slacking off because, as they'd say, "Vinnie will just ruin it anyway." There’s no doubt over his career that Vince Colletta rescued hundreds of Marvel comics that were on the brink of missing deadlines. However, his work, in my opinion, left a lot to be desired. I recall dreading seeing his name anywhere in the credits of a comic book. 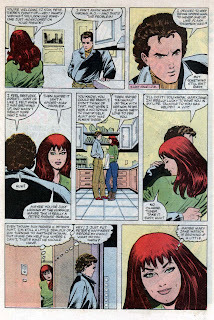 Amazing Spider-Man #290-291, the famous Peter Parker-Mary Jane proposal issues, featured art by John Romita Jr. with inks by Colletta. 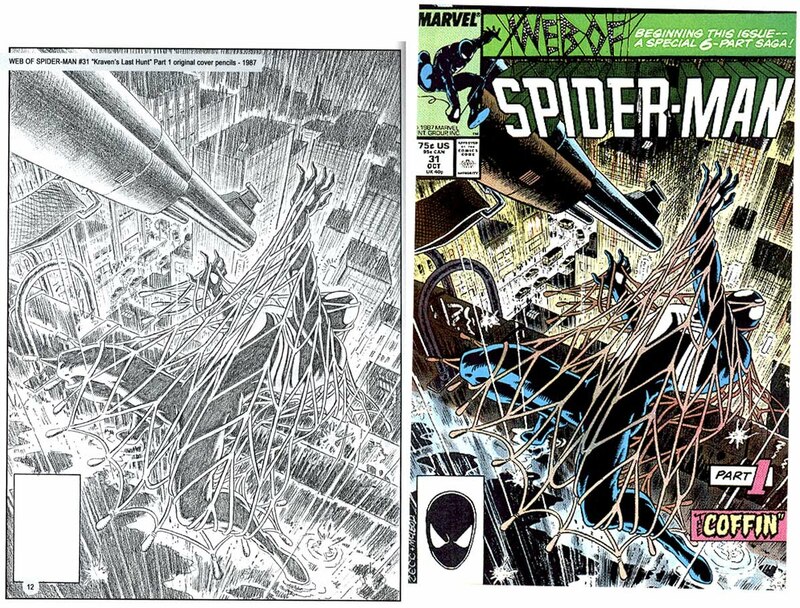 It’s hard to tell without Romita Jr’s original pencils, but the finished product is not pleasant to the eyes. 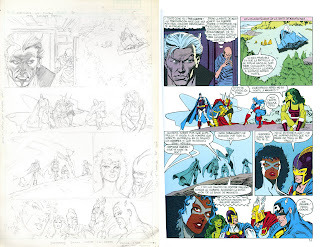 You can see Romita Jr’s art trying to escape from under Colletta’s heavy, confining inks. These issues seem like a bit of a rush job though as the backgrounds are rather light. 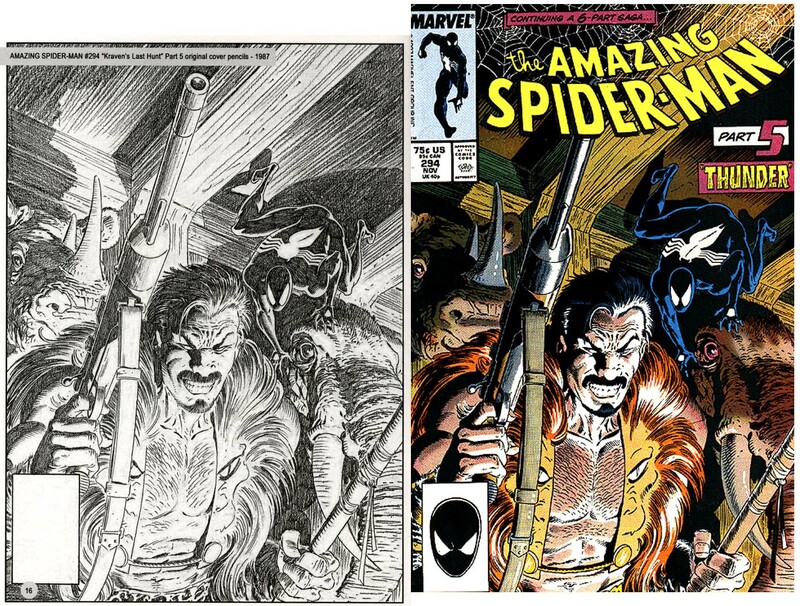 Similarly for Web of Spider-Man #17 featuring art from up and coming penciller Marc Silvestri. 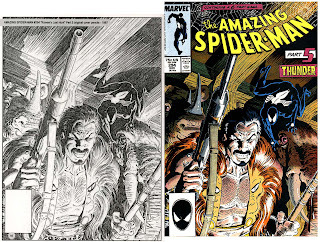 Colletta’s inks make Silvestri’s art style almost impossible to recognize. 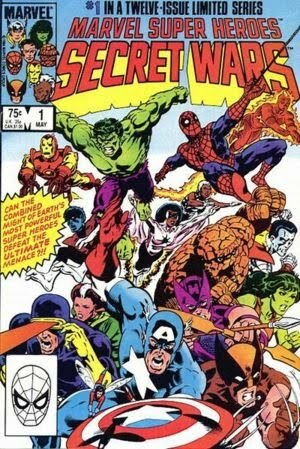 Why Marvel Comics in the 1980s? I discovered my first comic store across the street from a great used bookstore where I also used to buy back issue comics. I distinctly remember picking up Marvel’s Secret Wars #1 and devouring it on the drive home. I learned about a closer store about a forty minute drive from my home town. It was there that I set up my first pull list in late ‘83. I remember my dad limiting me to only four titles a month. I sidestepped this limitation by convincing my sister to add the series that I missed to her pull list, since we were treated equitably. 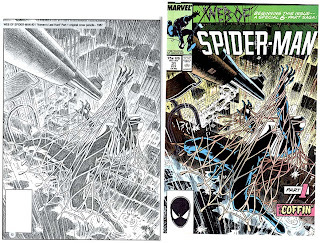 The four titles I had pulled were: Chris Claremont & John Romita Jr.’s X-Men, Marv Wolfman and George Perez’s New Teen Titans, Roger Stern and John Romita Jr’s Amazing Spider-Man, and John Byrne’s Alpha Flight. New Teen Titans # 38: Who is Donna Troy? 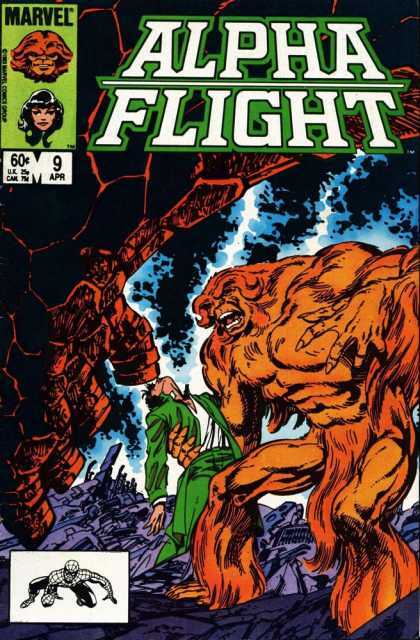 Alpha Flight # 9: Sasquatch versus the Super-Skrull! The value of my collection is tied closely to my attachment to it. 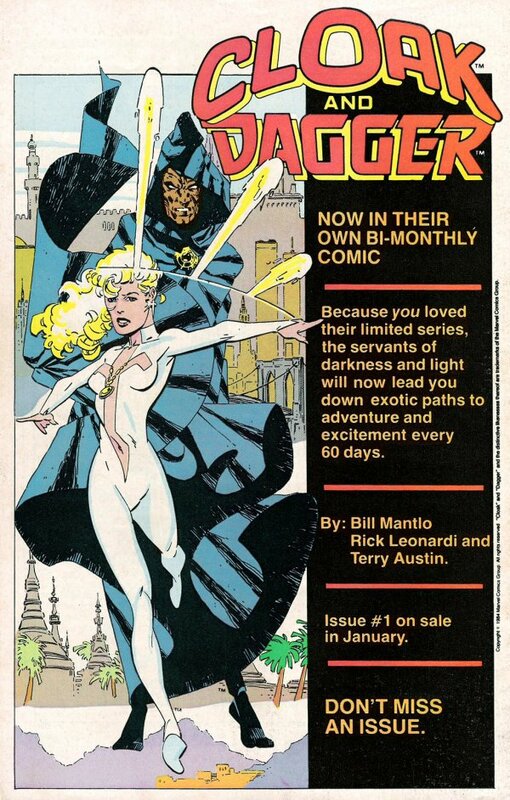 This attachment has been fostered by hunting for back issues at conventions, standing in line for hours at conventions to meet your favorite writer/artist to get them to sign your comics, visiting comic stores across North America, and finding that rare gem of an issue in back issue bargain bin. If you were anything like me as a kid, you probably started out buying comic books from a rack at your neighborhood convenience store. I used to circulate through the three convenience stores in my small town searching for specific issues or titles. By the early 80s, I discovered a comic store where I could get all the issues I wanted put aside as part of a weekly pull list. Why do I collect comics? As an adult approaching his forties, I often ask myself that same question. There’s the escape into this shared heroic universe where heroes are still heroes and justice is always done. There’s the pure entertainment value, getting that mental theater going, engage your mind to get the sequential art flowing, brining it to life. 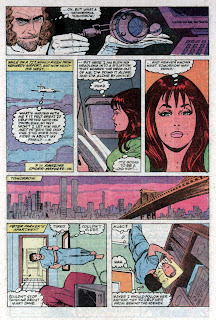 There’s the nostalgic return to childhood in rereading a comic that you can associate to a specific time of your youth or the memories of lazy Sunday afternoons spent with a pile of comics and cookies. Recently though, I've shifted over to hardcovers from single issues. Not really sure, perhaps its how they look on my bookshelf, perhaps hardcovers seem more mature than floppies, or it might be that it's much for easy for me to grab a hardcover than move around 3 or 4 long boxes searching for a handful of issues. 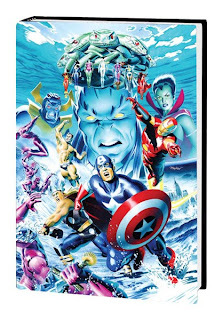 Get 7 new FREE Digital Editions from TwoMorrows! 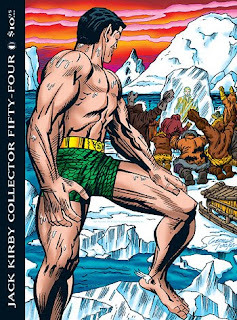 Well, it's not hard to see how different this miniseries might have been. Interestingly, it must have been re-written at some point by Stern to reflect the way the series actually turned out. 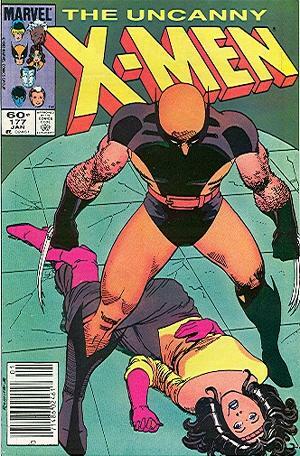 Obviously, from an editor point of view, Mark Gruenwald, he wanted this to be more of a character piece focusing on Magneto rather than the event it was billed up to be. Personally, an all-out battle miniseries would have been great. This miniseries almost needed to be renamed to properly fit its story and theme. 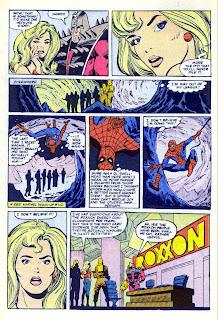 Stern's actual plot for issue #4 is also included in X-Men vs Avengers Marvel Premiere Edition. His plot is quite similar and seems to add more reluctance from Magneto which does line up with Magneto's story arc over the next few years as he becomes the School Master for Professor Xavier's School for Gifted Youngersters. 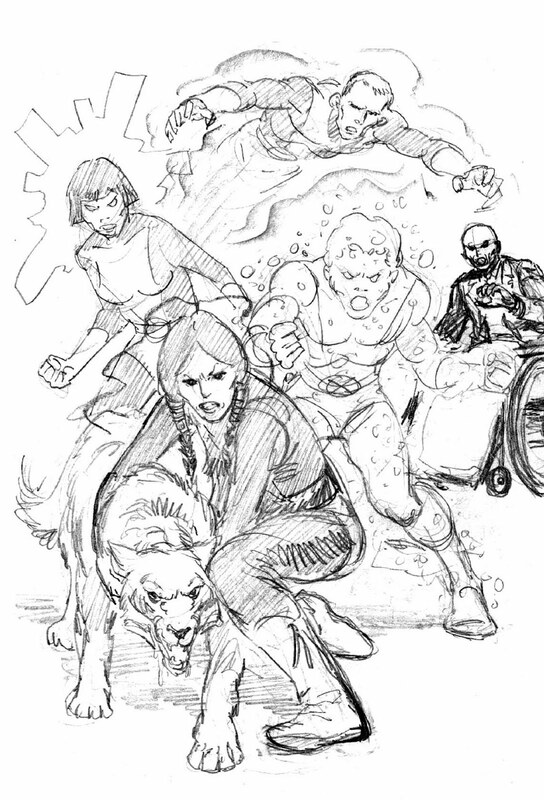 Mandarin has the X-Men helpless…basically holding them hostage to convince Magneto to throw in with him. Mandarin has assembled some truly world shaking devices from the remains of Magneto’s old headquarters, but he needs Magneto to make them work effectively. Magneto reluctantly agrees. 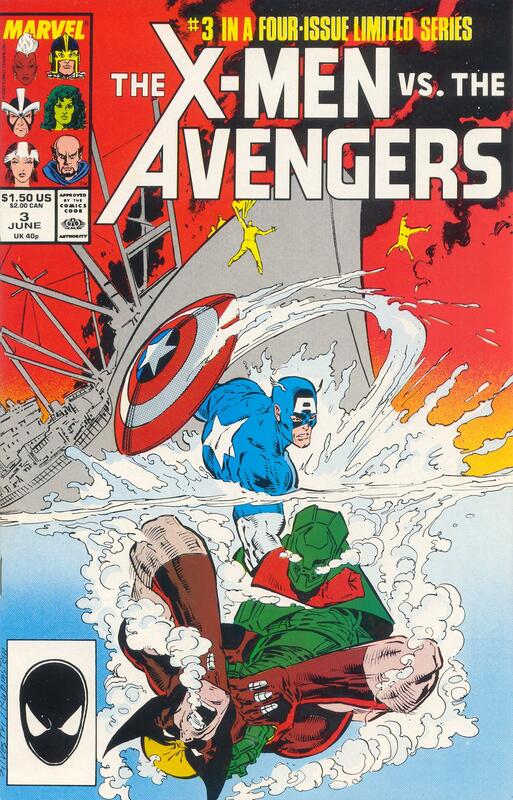 The Avengers with some help from the Super-Soldiers launch an attack against the Mandarin’s fortress stronghold. Mandarin throws the kitchen sink at them, besides the Titanium Man, the Crimson Dynamo is also secretly in his employ…and he has the X-Men mesmerized by the power of his rings as well. The Avengers make mincemeat of the stuff the Mandarin throws at them in a BIG DEAL battle. Magneto takes advantage of this to release the X-Men from the Mandarin’s hold and start turning the tables on the Mandarin. But, from the looks of things, magneto could be intending to use the equipment (which he was so hot to recover, remember) to do a little world shaking himself. Any such intent on Magneto’s part is thwarted by a counter-attack of the Mandarin, amid all the confusion of the battling Avengers and X-Men. Mandarin and Magneto apparently perish in an explosion which levels the Mandarin’s fortress. Avengers (with Super-Soldiers) and X-Men are left declaring a truce. 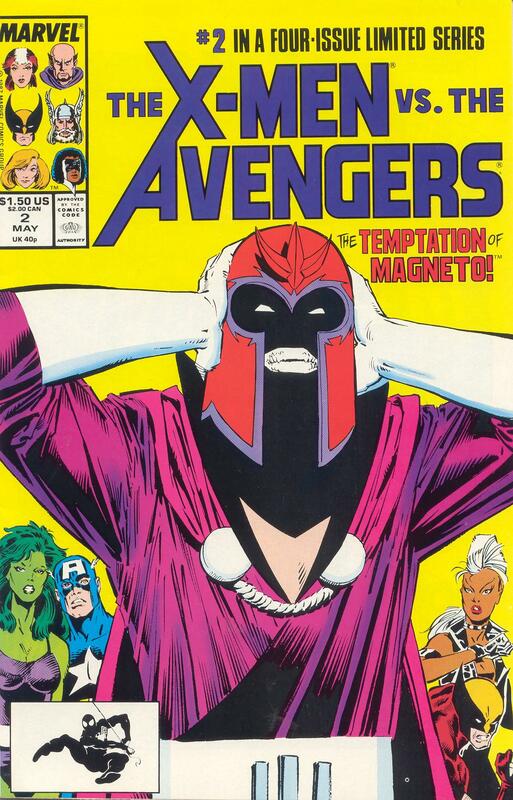 Avengers are able to point out that Magneto was apparently going to use his equipment to do bad nastiness…X-Men stand up for Magneto, but privately they have many worrying doubts. 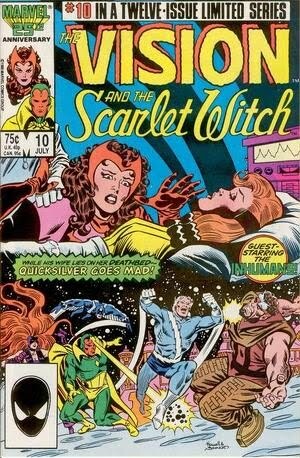 After the Soviets depart, the Avengers also express doubts that Magneto and Mandarin actually perished (Mandarin had used teleportation after all)…Avengers tell the X_men that if magneto does live, and if they ever get wind that he’s operating with them, they’ll cover after the X-Men again! 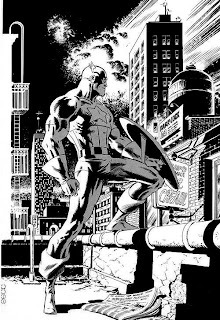 Cap and the others are determined to see to it that a fugitive from justice such as Magneto go to trial and – if found guilty – pay for his crimes! 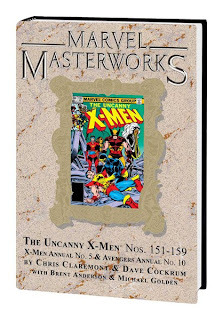 They hammer home the point to the X-Men that until Magneto faces justice, there is little chance of ever ending the world’s anti-mutant hysteria! Here are Roger Stern's original plot summaries for the X-Men vs Avengers #2 & 3 from 1987. The Thor vs Magneto battle in issue #3 would have been amazing, especially drawn by a young Marc Silvestri. An Avengers Quinjet streaks high over the island…aboard are Black Knight, Captain America, Thor and She-Hulk. They confer on their missions, filling in on how Captain Marvel and Doctor Druid slipped into Kampuchea to check out one of the squads of X-Men, looking for Magneto. The decision has been made as to who is checking out what. Thor and the Black Knight (on his atomic steed) take off for a possible location in Australia…Cap and the She-Hulk descend in the Quinjet into the wilderness of Java. 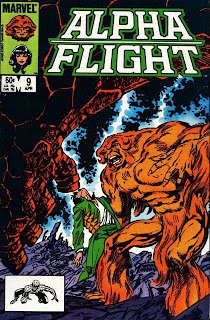 The Crimson Dynamo and Major Ursus are already searching in the area and the Dynamo gets a fix on the Quinjet. The Dynamo relays word of this to Gremlin, who is manning a distant communications center. 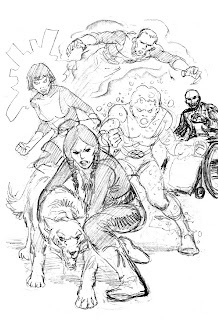 Gremlin communicates with Vanguard and Darkstar, who have situation under control in Kampuchea with Wolverine and Dazzler as well as Captain Marvel and Doctor Druid their prisoners (or so they think). 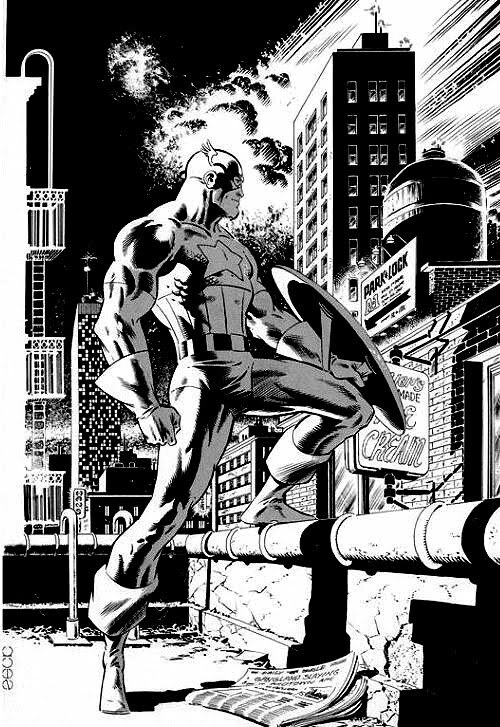 No sooner has Vanguard broken contact with the Gremlin than there’s a major dust-up with the two Avengers. Meanwhile in the jugles of Java, Cap and She-Hulk get caught up in battle with Storm and Rogue…and with the Crimson Dynamo and Major Ursus…at the second asteroid impact site. 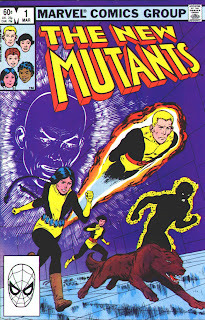 Once again, fragment and mutants mysteriously vanish. On the great sandy desert of Australia, Havok and Magneto are in the process of unearthing the last of the asteroid fragments (a BIG chunk, complete with part of Magneto’s old orbital headquarters when Thor and the Black Knight close in on them. big battle erupts. Meanwhile the Gremlin knows that something is very wrong. The mutant X-Men have been mysteriously vanishing and he is certain that somone’s been capturing them via some form of teleportation. 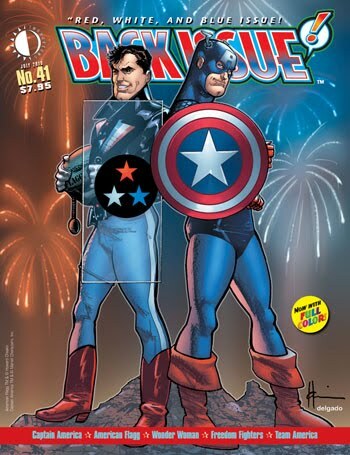 He communicates his suspicions to his Super-Soldiers and through them to the Avengers. 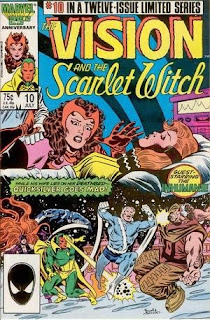 Back in the desert, Thor goes one-on-one with Magneto in pitched battle…a real knock-down, drag-out fight between Thor and the “World’s Most Powerful Super-Villain!” Much to Thor’s surprise, the Titanium Man shows up …and assists Magneto against Thor. While Thor is temporarily at a disadvantage, Titanium Man suddenly turns on Magneto and knocks him out. Then, Titanium Man, Magneto, and the final asteroid fragment all vanish. Avengers and Super-Soldiers regroup, discovering through Gremlin’s help that the mandarin is behind all this. And if Mandarin wanted the mutants and Magneto’s stuff that badly, it can’t be for any good purpose…they have to go into China and settle this! 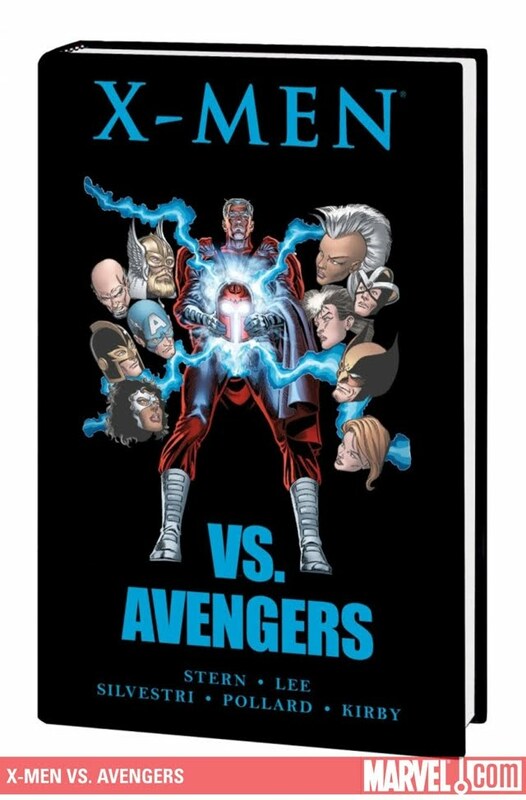 I finally picked a copy of the Marvel Premiere Edition of the X-Men Vs Avengers miniseries. I was reluctant to pick this hardcover up since I already owned the floppies and since I know it wasn't the story that writer Roger Stern had envisioned. Fortunately I did pick it up as it had Stern's original plot summary by issue and a few pages of script for his version of issue #4. 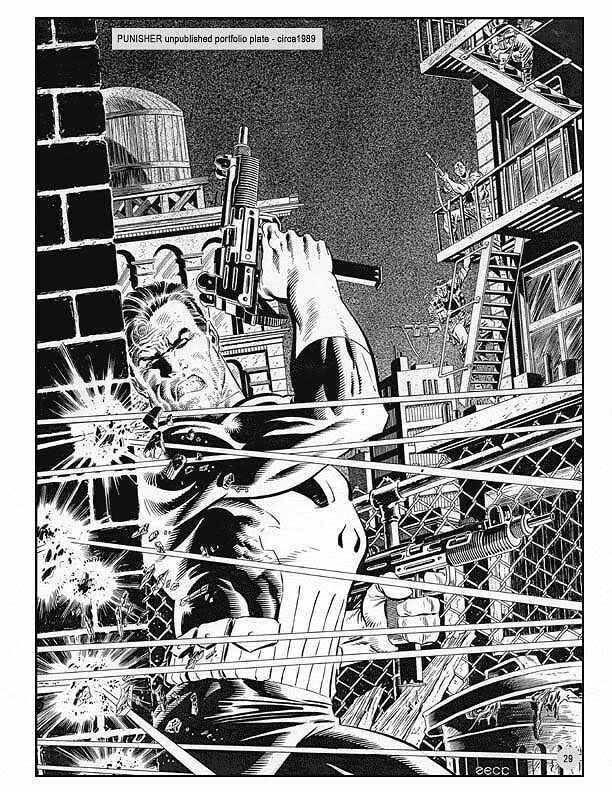 So for those of you who haven't picked this hardcover yet, I'll be posting Stern's plot summary, issue by issue. 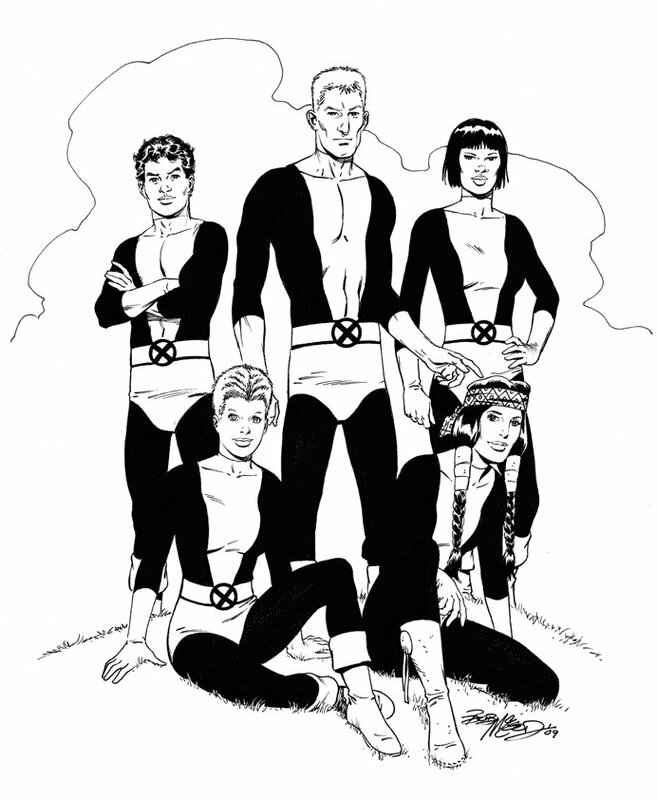 Roger Stern’s plot was revamped obviously as his resolution didn’t fit with the plans of the X-Office at that time as they were attempting to redeem Magneto as they prepped him to take over the X-Men and the School. We open with the X-Men meeting secretly in Singapore with Magneto. Magneto briefly outlines the situation: he’s traced chucks of his old asteroid headquarters to three impact sites in the Southeast Asia/Australia area. Magneto tells the X-Men there could be dangerous stuff in those chunks, and he needs their help to find out if that’s the case and take appropriate action. The meeting is observed by CIA agents. As the agents are transmitting their report, they’re ambushed by a second group of spies. [These are presumable KGB agents, but at least some are in the service of the Mandarin. Cut to an Air Force jet being escorted down to a landing at the Avengers’ new Hydrobase headquarters by Thor & Captain Marvel. 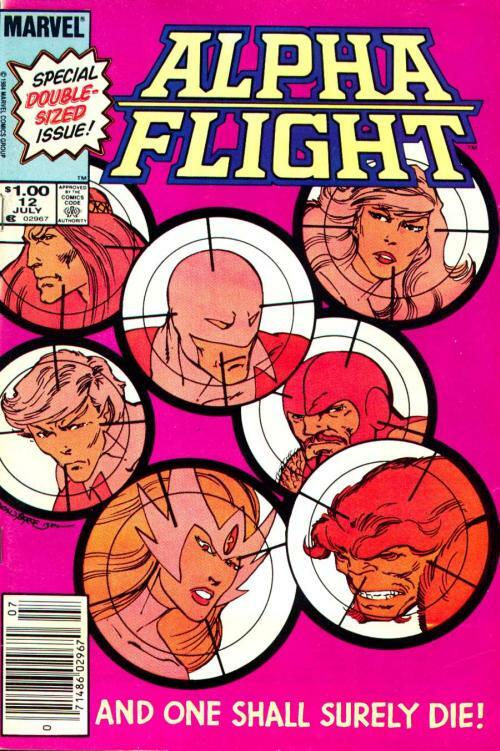 An intelligence officer briefs the Avengers on the X-Men/Magneto connection. There’s division and in-fighting among the US intelligence community, but a consensus of factions wants to see Magneto apprehended and returned to the World Court for trial (in hopes of easing anti-mutant hysteria). However, the CIA knows that the Soviets undoubtedly have the same information on Magneto’s whereabouts that they have…and the Soviets understandable want Magneto dead. The catch is that neither the US nor the Soviets know at which one of three possible locations Magneto might be. 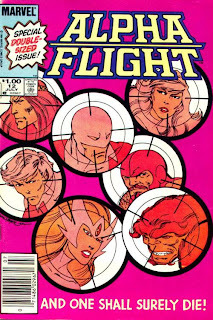 US intelligence is asking the Avengers to find and apprehend Magneto before the Soviets track him down and kill him. Cut to Wolverine and Dazzler stalking through the jungles of Kampuchea. They’ve been searching for days for the impact site of one of the chunks of Magneto’s asteroid. Wolverine picks up a scent and goes on ahead to check it out…as he closes in on the scent, its source seems to vanish…then it’s behind him. 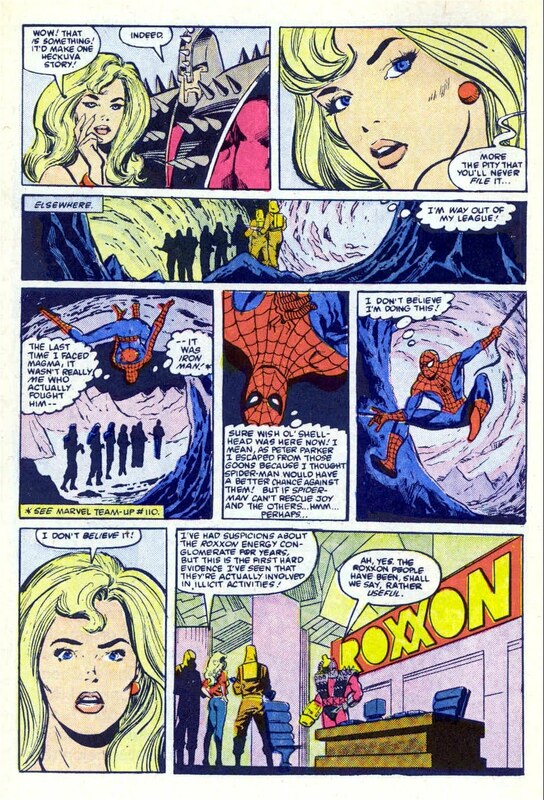 It’s Captain Marvel turning from energy to physical and back again to lure him away from Dazzler, who is being stalked by Doctor Druid. Battle erupts between the two mutants and the two Avengers…Avengers k.o. 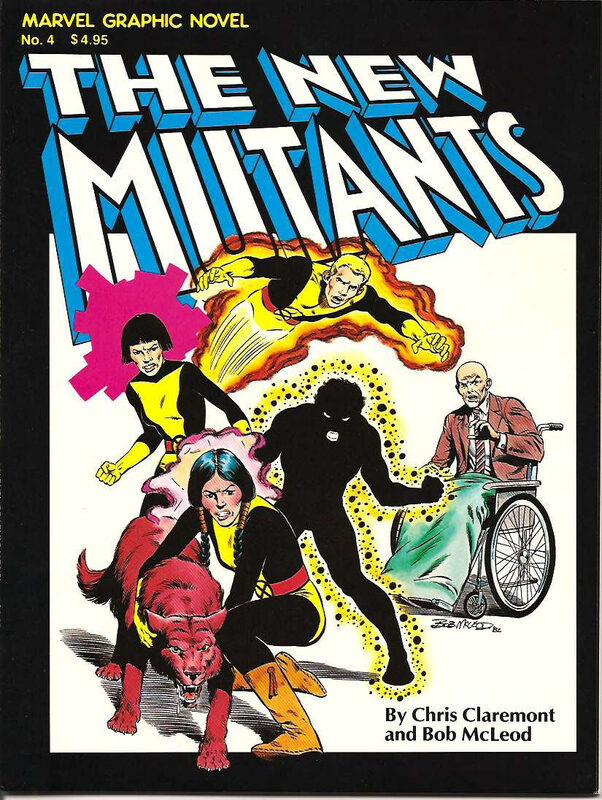 the mutants. Captain Marvel and Doctor Druid have the two X-Men bound and are bringing them around to consciousness for questioning when Druid sense the approach of others. He goes off to investigate…but is swiftly sent flying. 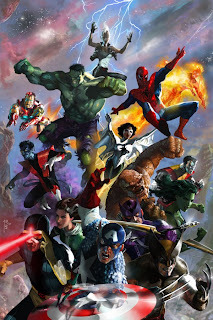 And the Avengers and mutants are swiftly surrounded by a squad of elite Kampuchean army regulars led by Darkstar and Vanguard, declaring them all under arrest as enemies of the state. I was a little late to the game on Swamp Thing and would pick up Moore’s amazing run through trade paperbacks. I couldn’t get into Sable and Flagg at that age. I was picking up Teen Titans, Fantastic Four, X-Men, and Dr. Strange. Picked up a few issues of Power Pack, but was never into the young kids point-of-view. And I loved the early issues of Blue Devil. 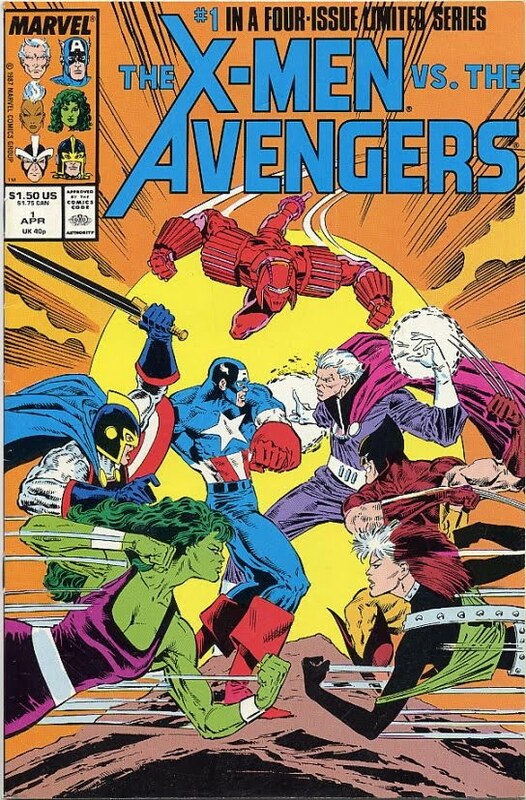 It had a fun 1980s storyline with loads of crossovers and wonderful art. Happy Independence Day to all my neighbors to the south! 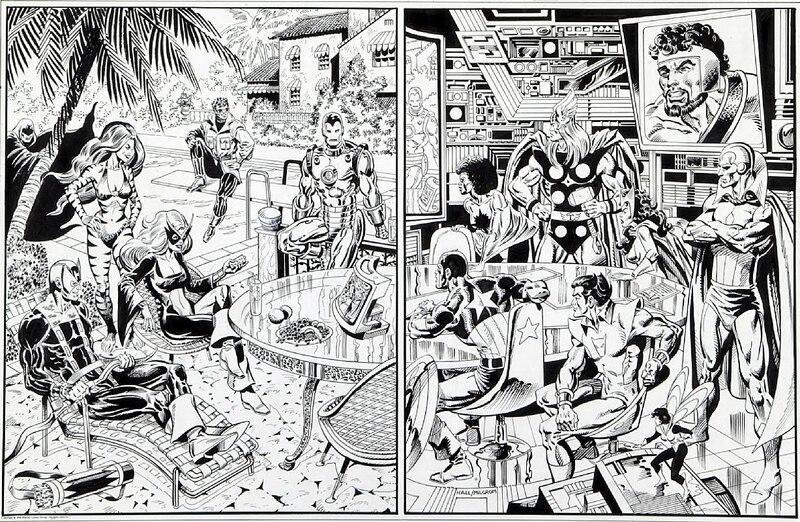 Cool print of the Avengers East & West by Bob Hall and Allen Milgrom. I believe this was made into a poster in the mid-1980s.